32pcs. Lock Pick Set with Leather Zipper Pouch | BUDK.com - Knives & Swords At The Lowest Prices! This large set includes a variety of hooks, rakes, balls, diamonds, extractors, and tension tools, and a new luggage quality, top grain, leather zippered case. 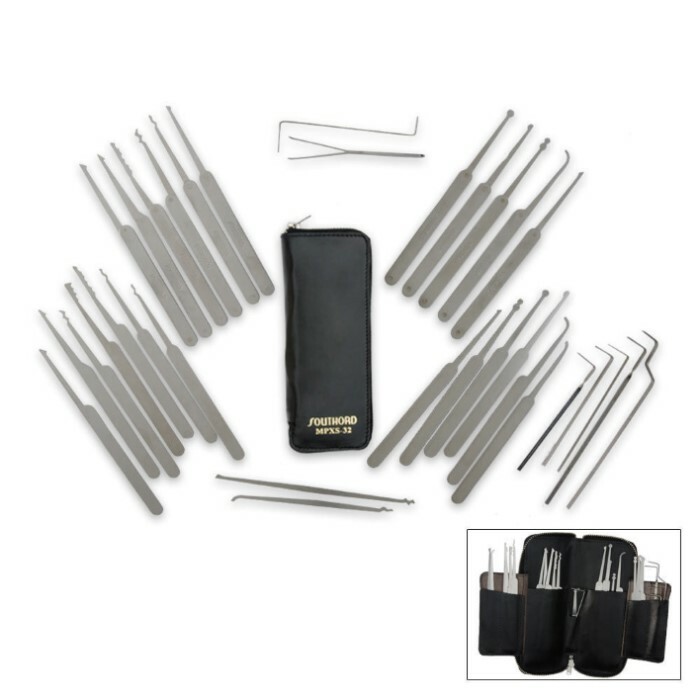 Like all MPXS Series Professional Lock Pick Sets, the MPXS-32 features tempered stainless steel picks and exclusive rivet less stainless steel handles.